Ecwid has unveiled a revamped mobile app and a collaboration with iZettle to help small businesses accept card payments while on-the-go. 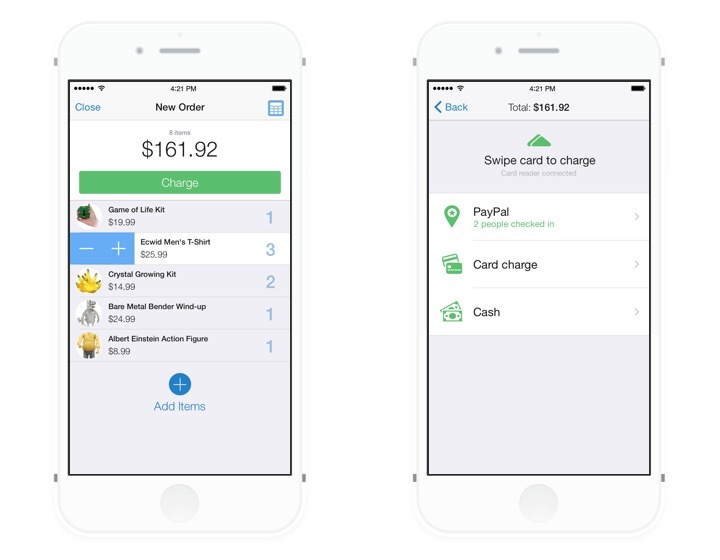 The revamped Ecwid Mobile app features an iZettle chip-and-PIN card reader integration. Through the integration, merchants can leverage the Ecwid Mobile app and connect the iZettle card reader to their mobile device to begin taking payments. “Through our integration with Ecwid’s e-commerce platform, merchants have a powerful point-of-sale system that will allow their 700,000 users to take card payments on the go,” said Jen Munch, vice president, Strategic Partnerships at iZettle. In addition to the iZettle integration, the revamped Ecwid Mobile app enables merchants to manage their products while away from their desktops, including the ability to update inventory and edit SKUs, as well as adjust pricing, stock levels and availability. It is also important to note that merchants can use the app to take product photos and add new items to their inventory. Plus, the app provides merchants with order details, enables them to change order statuses, assign tracking numbers and accept credit card payments with PayPal Here in the U.S..